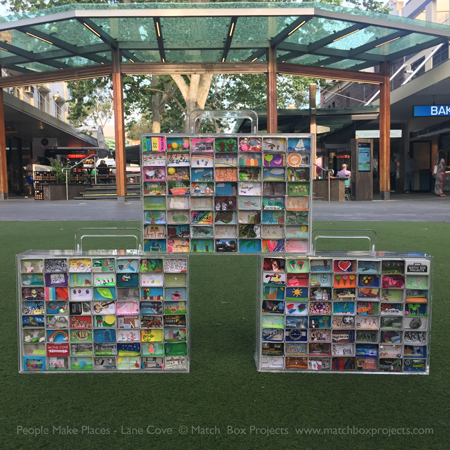 We will be at the Lane Cove Alive office on Friday afternoon (2.15-6pm) to collect Lane Cove matchboxes. The Lane Cove Alive Office is upstairs at 18a Burns Bay Road - next to Zjoosh). 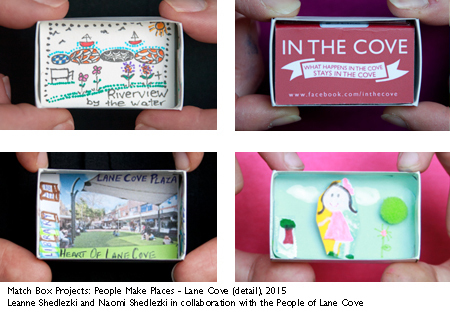 To collect a matchbox and see the People Make Places Lane Cove Time Capsule created so far - visit us at the Village Fair - we will be in the Love Where You Live Lane Cove Council Tent - located opposite/close to the Post Office on Burns Bay Rd.